My pancake day creation! 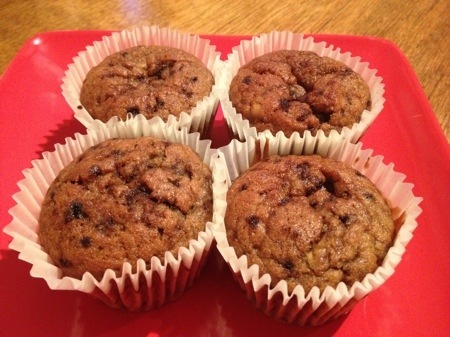 I had two over ripe bananas left over from making banana muffins and they were praying on my mind. 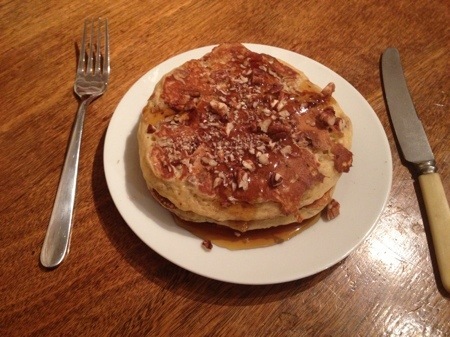 Then Shrove Tuesday rolled around and I had a pancake epiphany… Banana pancakes! Then I started to mull it over more. Banana was good but what could make it better, Nutella? Well, yes, but what if I could make it even more awesome? My mind supplied pecans and then immediately jumped to my favourite Ben and Jerry’s ice cream flavour, The Vermonster! Maple, pecan, caramel, yum! I wanted to bring the two together and so, Banana Maple Pecan Pancakes were born. – Get a pancake pan or shallow frying pan heating on the hob to a medium high heat. – Take a jug and mash your bananas up with a fork. 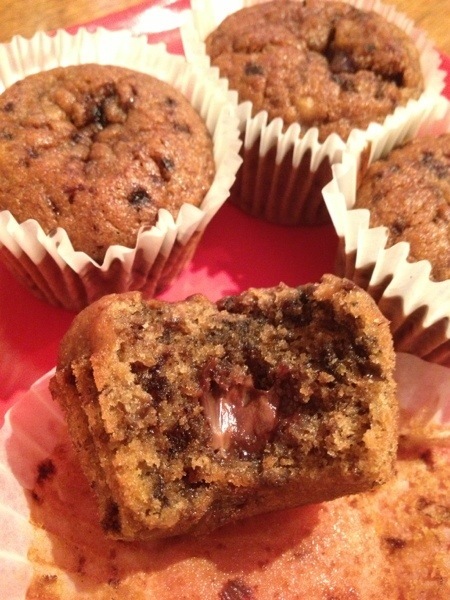 – Add all of the ingredients apart from the pecans and mix well so you have a smooth batter. – Grease your pan with butter. – Pour 1/6th of the batter out for each pancake. The size of your pan will dictate how many you can cook at once. They should be about the size of a saucer. 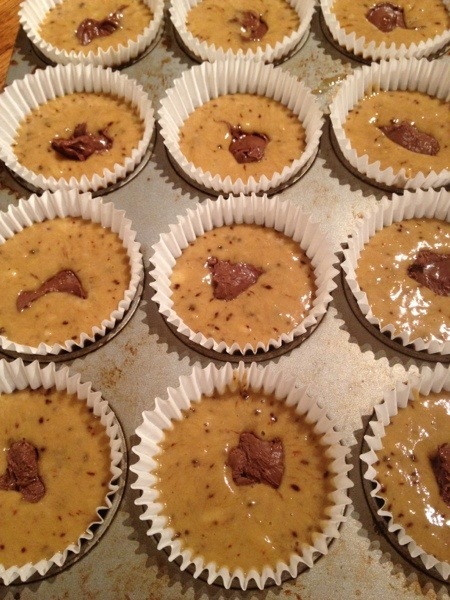 – Scatter the pecans over the wet batter. – When bubbles rise to the surface of your batter it’s time to flip your pancake. 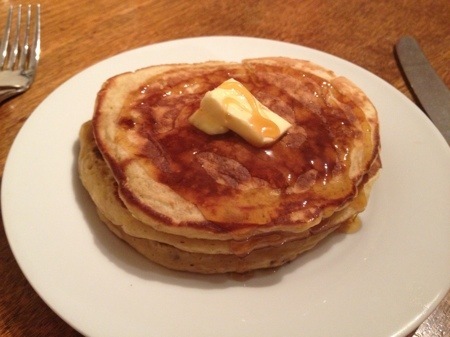 – Continue to cook the pancake for another minute then remove from he pan and continue with the rest of the batter. – Keep the cooked pancakes warm while you’re cooking the rest. 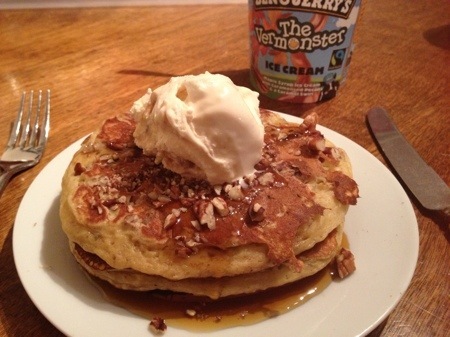 – Serve with lashings of maple syrup and, if you have it, I highly recommend Vermonster Ben and Jerry’s ice cream to finish it off!